"My wife, Christine, and I got married in Maui. Since we live in Los Angeles, we planned everything from LA. Choosing Maui Creative for our photography was the best decision that we made. Matt and Madelynne were extremely responsive from the moment we contacted them. They even offered a pre-wedding session at a location of our choice so that we could get together and get to know each other before the wedding day. 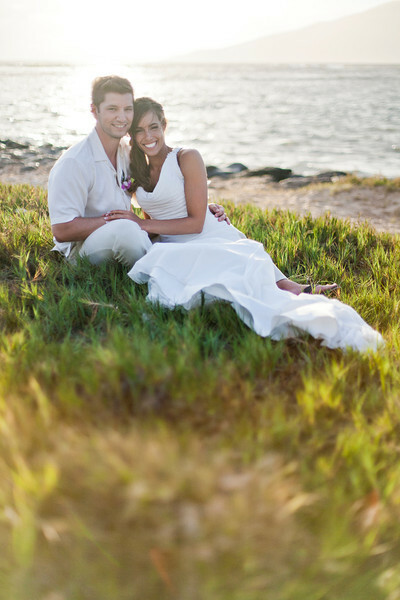 We met Matt and Madelynne at a secluded beach and took some amazing photos. Matt and Madelynne are so adventurous and creative. At one point, the four of us were knee deep in water so that we could capture the best lighting for the photos. This pre-wedding photo session set the stage for the wedding day. Everyone at the wedding loved Matt and Madelynne. Their creativity and artistic eye is truly one of kind. Even our videographer was using the scenes created by Matt for the wedding video. What's more impressive is that Matt and Madelynne have worked for major magazine companies taking large framed photos. This translated into extraordinary photos of our entire wedding guests (80+ people) with the beautiful beach and sunset as the backdrop. 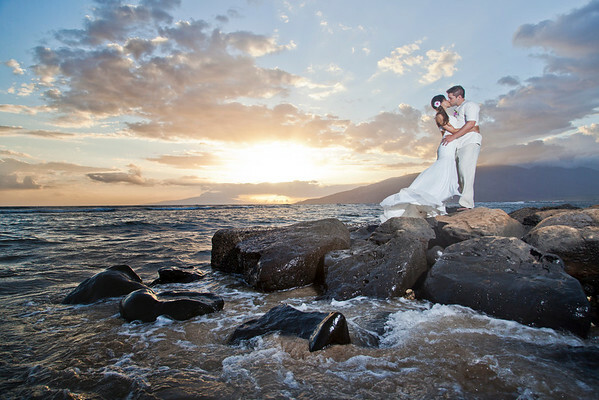 Overall, we could not have made a better decision with choosing Maui Creative for our wedding photography. Their photos are sharp and clear. Their easy-going and free-spirited personalities are contagious. Most importantly, they made us feel calm and allowed us to enjoy our wedding as they captured all the candid moments beautifully. You will not be disappointed and thank you so much for your amazing work! 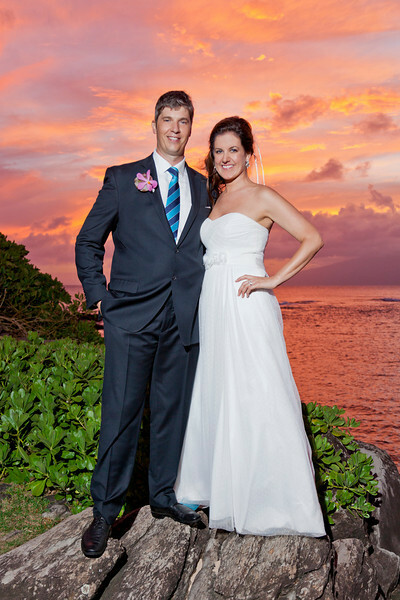 Mahalo, Howard and Christine"
"Madelynne and Matthew were wonderful to work with! They truly made our engagement one for the books and we are so happy they were able to share this milestone with us! The both of them were so kind and made our photo shoot a blast! This was our first time getting pictures done and we felt so comfortable and natural around them, they made the experience a great one! They have been awesome at communicating with us and even sent us a sneak peak of a couple photos before we even left Maui to come back home! We were so lucky to do a sunset shoot with them to make our engagement that much better! We recently received the rest of our photos and they are absolutely phenomenal! Thank you Matthew and Madelynne for making our engagement so special and for all of your hard work!!" Backstory: Thomas proposed to Hannah the day before I shoot. He called us, excited about the upcoming proposal to ask if we would help celebrate the occasion with a special photo shoot. We felt honored to share this special occasion with them, and we're thrilled with the photo collection they now enjoy as a keepsake. Mahalo Thomas and Hannah, and congratulations!! "My wife and I were married on Maui in May of 2014. We used Maui Creative Photography and couldn't be happier with our decision. Matthew and Madelynne are two of the most genuine and kind people you could possibly meet. Their enthusiasm for what they do is infectious and we had a blast during our time with them. Always professional and prompt with communication, we were at ease with them throughout the whole process. We had our e-session a couple days before the wedding in a beautiful secluded location and it was a great way to get to know them and get comfortable in front of the camera. Such a great idea! On the day of the wedding, it was like meeting up with two longtime friends. Their creativity and eye for the perfect shot was on display from the beginning as we effortlessly moved from one jaw-dropping location to the next. They were always open and excited about any ideas we might have had as well. During the wedding and reception they seamlessly blended into the background and you wouldn't even know they were there. We have so many amazing photos it's going to be hard to pick our favorites! Everything arrived super fast and packaged in a very cool and thoughtful manner as well. If you are like me and have spent countless hours reading reviews and researching photographers for one of the biggest days of your life... stop the search. You've found them!" 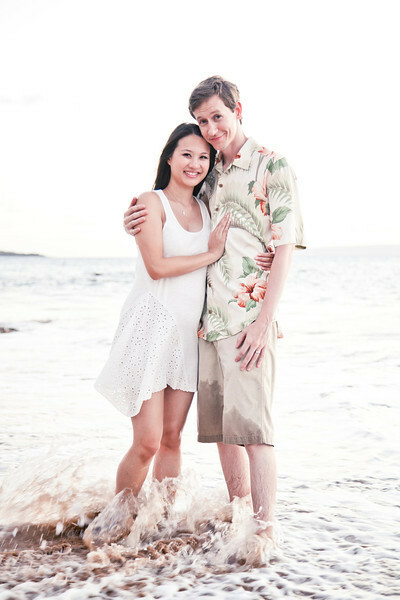 Backstory: Tiffany and Jason booked us directly through their coordinator, the wonderful Cherise Shulman of The Perfect Wedding Maui. We first met them during our pre-wedding session and instantly fell in love with these two - They're adventurous, fun-loving and just all around great people. Their wedding day was gorgeous - Beautiful weather, lots of style and a whole lot of heart. I especially found it endearing that Jason chose his father to be his Best-Man. Later, when we stepped away for the Bride+Groom Session we were met with an amazing sight: As the sun set over the ocean, the full moon rose above the West Maui Mountains. An amazing moment for an amazing couple! "Matt and Maddy of Maui Creative photographed our wedding day for us and I have to say I could not have asked for more amazing photographers to capture our special day! I don't have to say much with regards to their photography as their work clearly speaks for itself. Their photos are crisp, clean, creative, artistic, emotional, and natural. And I haven't seen too many photographers that can take the kind of amazing beach photos the way they do. The lighting and colors from sunsets are spot on, and show a technical skill that even in Maui few photographers really achieve. The icing on the cake is that the two of them are genuinely sweet and fun. And on your wedding day when you're spending 8+ hours with your photographers it's great to be surrounded by such good people! I'd absolutely recommend them to anyone looking for a photographer in Maui. They truly made me feel like the most beautiful bride and captured our most important memories in a way that I only dreamed of." 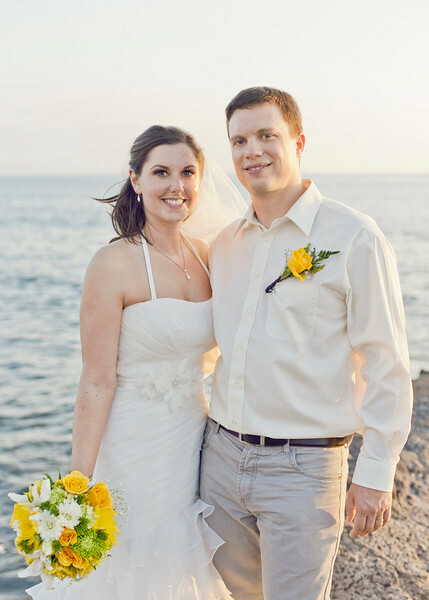 Eric and Theresa first contacted us back in January 2013 (well over a year before their wedding!). Photography was important to them and their families, and so they booked 8 hours of coverage to document the entire wedding day. 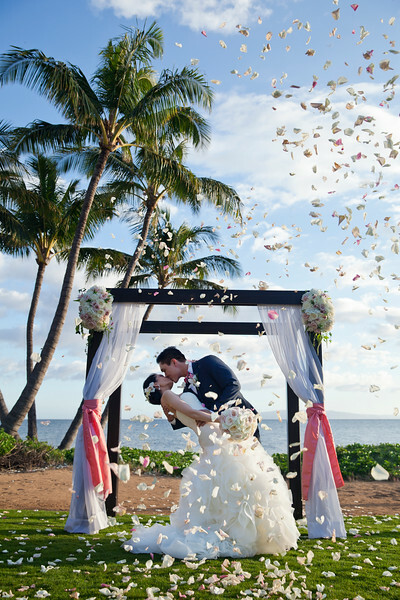 Their gorgeous event was planning by Maui's Angel's and took place at the beautiful Hyatt Regency in Kaanapali - Surrounded by friends and family from across the globe,they got hitched in incredible style! Charlene was pregnant with their second child during our shoot, so this session doubled as her babymoon/maternity photos :) It was great fun! Towards the end, Maui delivered yet another gorgeous sunset. "Matthew and Madelynne are simply amazing. So talented, professional and friendly! 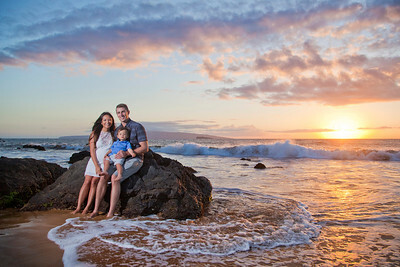 I had a Maui family vacation planned and knew I wanted to do a sunset photo session at some point during our trip. I found Maui Creative Photography through a google search and just loved their gallery of photos. Everything about the process was easy. We booked a session 2 weeks in advance, Matthew and Madelynne suggested a beach/park location right by our hotel. They captured the most BEAUTIFUL photos of my family. They work as a team and really made the most of our 1-hour session. I highly recommend Maui Creative Photography for capturing beautiful moments with your loved ones." I was overwhelmed when I started planning my wedding in just 5 months time, so I looked through all the online forums to find a good photographer. After a few weeks of going through I'm sure every photographer in Maui I finally decided with Maui Creative Photography, and never looked back. Upon arriving in Maui, we met Matt and Madelynne for our engagement session, it was a great way to get to know them before the wedding and see how amazing these two are at capturing that natural photo-journalistic style I was looking for. The day of our wedding they arrived early and instantly started shooting away, capturing the details of my dress/shoes/ring/veil in a way so beautiful I couldn't believe my eyes. The detail and thought that goes into everything they do is beyond words. Not one moment was missed, from beginning to end, anything we asked for they would gladly do. They were definitely the talk of our wedding, especially after seeing a few shots taken at sunset, just breath-taking, and surreal photographs. It's impossibly to meet these two and not instantly fall in love with them. During our stay in Maui my sister was proposed to, so without hesitation I knew exactly what I was getting them as an engagement gift, a session with the talented Matt and Madelynne, to capture their special day they same way they caught ours. A few days ago we got our wedding pictures in the mail only to be surprised to open a personalized wooden box with our names and date carved into the lid, and upon closer look a silhouette of my husband and myself. Inside was divided with some prints from the wedding and a personalized wooden flash drive with again our names and wedding date carved outside. I can't emphasize enough the detail these two put into everything they do. For all those living or visiting Maui, no need to spend hours researching a good photographer like I did, take a look through their blog and you'll be convinced before you can even scroll down to the bottom of the page. Much love going out to these two skilled individuals." Backstory: Dani and Chris self-planned their wedding here on Maui: They booked an oceanside estate in Kihei with a beautiful lawn, hired an awesome officiant (Laki), purchased floral arrangements, got a caterer and rented event decor (light/furniture/tables). Together with their friends and family, they pulled of an absolutely fabulous wedding day and everyone pitched in. We'll never forget these two and this special day! "Outstanding. Incredible. Talented beyond belief. My now-fiance arranged to propose to me at the top of Haleakala and had the amazing sense (and great luck) to find Matt and Madelynne to play paparazzi for the occasion. They literally waited for us at the top of a mountain; hid amongst the crowd; and followed us around (I later found out) waiting for the moment of the proposal. After the question was popped and "Yes" was said, Matt and Madelynne did a short photo-session as the sun was setting. The entire experience was magical---and Matt and Madelynne's enthusiasm, friendliness, and adventurousness was more than a minor contributor to that magic. We saw a few of the pictures the next day and were floored. The shots are breathtaking. All the magic of the moment is reflected in the photographs that they made---for us to appreciate forever. I'm so thankful to have had the opportunity to work with them; I consider the pictures (as with the experience) priceless. 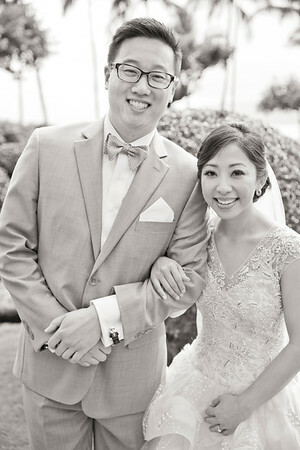 "We couldn't have asked for better photographers for our wedding than Matthew & Madelynne from Maui Creative Photography. They truly listened to what we wanted from our photos but they also anticipated things that we either thought we didn't want/hadn't thought of so that the end result are unbeatable photos and wonderful visual memories of our wedding. It was close to a year between when we booked them and the wedding date and, as we weren't local, we corresponded a lot by email and by phone when I wanted. They were always exceptionally responsive. As you would expect, they are not only excellent photographers but also very creative (not your stock standard typical wedding poses/shots). At the wedding they were really unobtrusive/not "in our faces" but when we wanted particular photos they were always on hand. Loved the composition, color and details that they managed to capture in our photos. We are thrilled with our photos. I cannot recommend Maui Creative Photography enough." Backstory: We connected with Carolina and JJ about a year before their wedding. They were visiting Maui, researching wedding vendors and asked to set up a meeting to go over packages. It's rare that we get to meet our clients in person ahead of time - It was a real treat for us! A year later we were photographing their amazing wedding event at Merriman's in Kapalua - Friends and family had flown in from all corners of the world (Australia, New Zealand, Europe, North America and Asia). It was an incredible event and, to top it off, Maui delivered one of the MOST COLORFUL sunsets I have seen yet. The sky turned the most incredibly vivid pink and orange! The whole day was a big success and we are grateful to have been there with our cameras. "So glad we found these two awesome photographers! I've never been to Maui so when my hubby decided that Maui would be the destination of choice, I was quite happy to get married on a beach with beautiful palm trees and gorgeous sunsets. I found Maui Creative on theknot.com after reading some great reviews and visiting their website to check out their portfolio. Their spoken style and photos on their website attracted me to them right away. I felt really comfortable even before speaking to Matthew and Madelynne and even more so when we had our skype session to go over the entire process. When we met during our e-session, we were totally amazed with the location they picked out for us and had a great time interacting with these two amazing photographers. They absolutely compliment each other in all they do from the beginning to end. We were so impressed with them we invited them to our wedding and they helped us capture additional moments during our reception. I've since shared my photos to my friends and family from all over the world and everyone was impressed by their photography. I don't think you'll find two amazing combinations like this for wedding photography anywhere else." 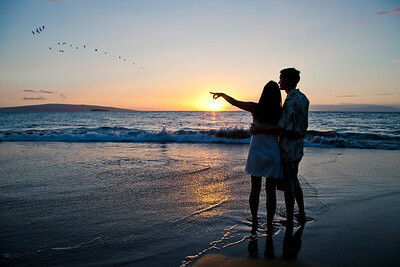 "My husband and I recently traveled to Maui for a honeymoon/babymoon. To commemorate the trip, we decided to book a photography session. I admittedly looked into things later than I should have and was relieved when Matthew told me he was available the day before we departed back to the Mainland. We opted for a 2-hour sunset session as I wanted to capture some of those beautiful Hawaiian shave-ice colored skies! We were pleasantly surprised when both Matthew and Madelynne showed up -- I wasn't expecting a second shooter! My husband is a bit shy/nervous in front of the camera, but these two made it so fun and easy! (In fact, after the trip my husband admitted the photography session was a major highlight of our vacation!) They were great at directing and open to ideas. They also gave us a few moments to enjoy the sunset to ourselves which made for some great candid shots. They have an excellent eye for capturing both expressions, moments, and of course, the breathtaking landscape of Hawaii (definitely check out their website and blog -- they have the ability to capture lovely images at all times of day -- early morning, midday, sunset, and even the beautiful starlit sky). We started out in the early evening at our hotel and moved down to a secluded beach later for the sunset session. 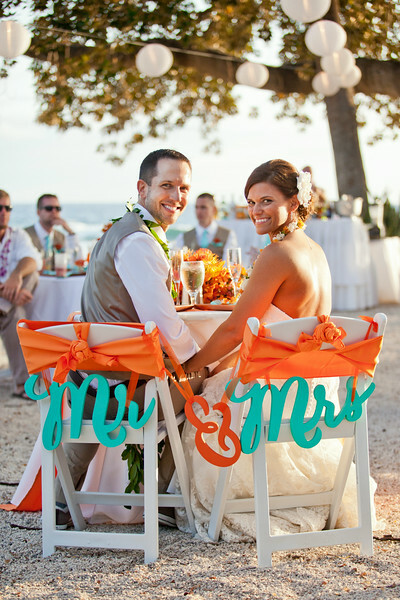 Much Aloha goes out to Matthew and Madelynne from Maui Creative Photography! We are incredibly grateful for the beautiful pictures and memories. Book them while you can!!!" "These two are absolutely incredible! We loved their fun presence, their exceptional service and our beautiful photos!!!!! From our initial communication, we were impressed. Instead of a generic “here is what we offer and our price list” response, they sent us a personalized email, commenting on where we were from, how much we will enjoy Maui and other pertinent details of their service. Of course a personalized email is by no means expected from businesses when inquiring about services, but we thought that was just a really nice touch. They were always prompt and professional with communications and were happy to answer any questions. We were offered an engagement photo session with them in order to get to know them before the big day – what a great idea! It was so nice to meet them before the wedding, start feeling comfortable in front of a camera, and discuss preferences for photo ops, etc. The day of the wedding they arrived early and went right to work. They were not afraid to politely round up guests for group photo ops. We felt so calm and relaxed having them there the day of our wedding. They were so positive and truly made us feel comfortable in front of the camera. They were professional and friendly, and of course are incredibly talented. Our package of photos was sent to us in a VERY timely fashion. We were surprised with how quickly we received our photos. The package was beautifully presented and the photos were beyond spectacular! They blew us away!!!!!! They really captured the right moments and our feelings that day, and of course, capturing feelings means the difference between good photographers, and exceptional ones. They truly are EXCEPTIONAL!!!! Even if our photos turned out less than spectacular (which they didn’t – they were INCREDIBLE), it was just such a joy to have them photograph our wedding because they have such a warm presence. We are ever grateful that they were a part of our wedding day and that we have such beautiful photos to look back on. We wish them the very best in their careers as photographers as they are both so talented. Thank you again Matthew and Madelynne!" "My boyfriend and I decided to get our photos done in Maui since we thought it would be a good way to commemorate our time there. I think it was one of the most fun things we did while in Maui! The reason why I picked their service in the first place was because their photography spoke to me - their photos didn't look forced or cheesy/staged and that was a concern of mine as I was looking through various photographers and their photography. 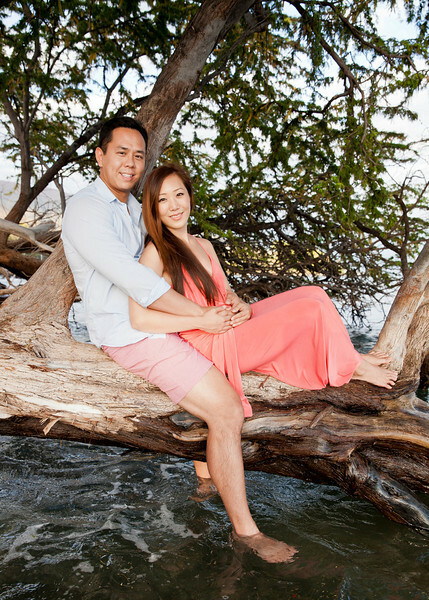 I also chose their service because I love how they incorporate the beauty of Maui into their photos. I'm happy that I went with them because now we have some gorgeous pictures that we will be able to look back to whenever we want! As a team, Matthew and Madelynne were really fun and easy to work with! We took the pictures at Olowalu- and the grounds there are just gorgeous. We even did a bit of tree climbing in the ocean and got wet in the process! To demonstrate how committed they are, Matthew and Madelynne were willing to get waist deep wet to get some stunning shots of us. I loved that they are so adventurous! Thanks again, you guys rock!"